No excavation, existing vault stays in place. Lower cost compared to traditional excavation and replacement of decaying concrete vaults. Dramatically reduced project completion time. Minimum or no disruption of power services. Minimum disruption to public roads and access. Modular to fit various size vaults. Lightweight, maneuverable in small restrictive spaces. Lowered through existing manhole opening into damaged vault. Methodically assembled to create new vault. 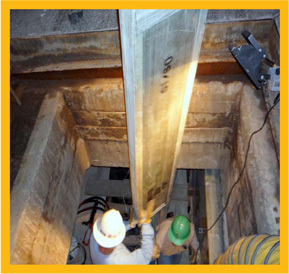 Meets AASHTO HS20-44 requirements at minimum 2′-00″ depth. 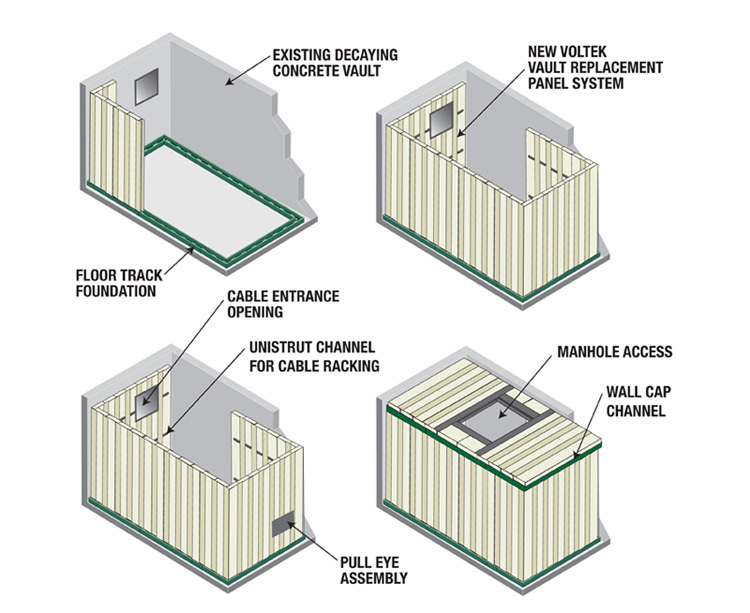 Unique cable entrance opening panel avoids cable splicing. 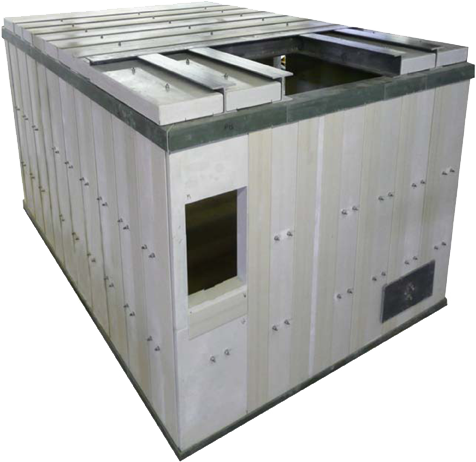 By creating a new structural envelope within the existing vault, the original structure can continue to decay around the Voltek System without any adverse service or maintenance issues. 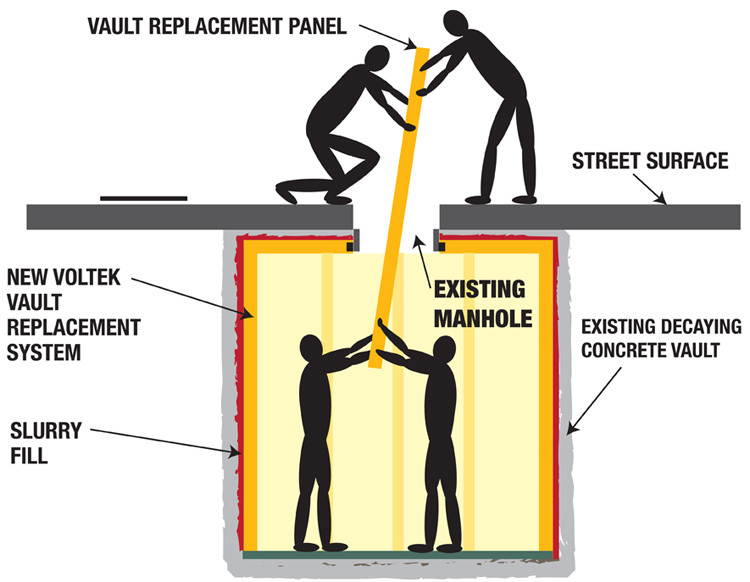 Installed through the manhole opening of the existing underground decaying vault utilizing our exclusive patented panelized modular system. 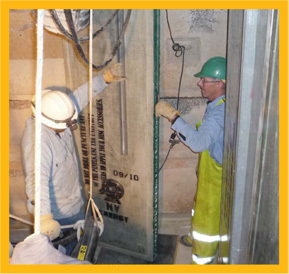 The system dramatically simplifies the task, shortens the time required and reduces the cost of an underground vault replacement. Installation and assembly instructions are available. Contact Armorcast Products for more information.